Heat gas or charcoal grill. Soak twine in water 10 minutes to prevent burning. Meanwhile, in 2-quart saucepan, melt butter over low heat. Stir in brown sugar, mustard and chili powder. Cook 2 to 3 minutes, stirring frequently, until mixture comes to a boil. Pour 1/4 cup sauce into small bowl; reserve for serving. Leave remaining sauce in saucepan for basting pork. Insert knife one-third of way up from bottom of tenderloin along 1 long side and cut horizontally, stopping 1/2 inch before edge. Open up flap. 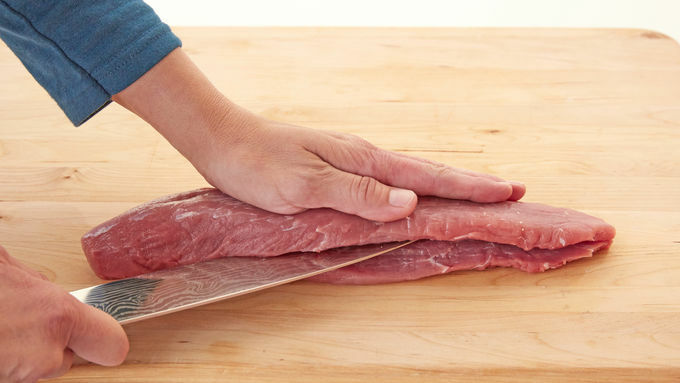 Keeping knife parallel to cutting board, cut through thicker portion of tenderloin about 1/2 inch from bottom of tenderloin, keeping knife level with first cut and stopping about 1/2 inch before edge. Open up this flap. Press sides of tenderloin down so it lies flat. 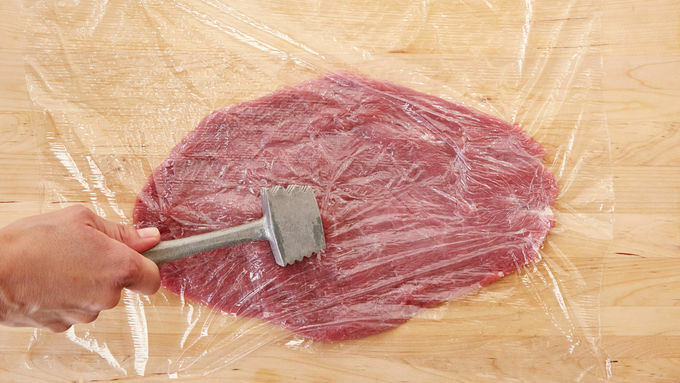 Cover with plastic wrap; pound with flat side of meat mallet to 1/2 inch thick. Place cheese down center of tenderloin; top with ham. 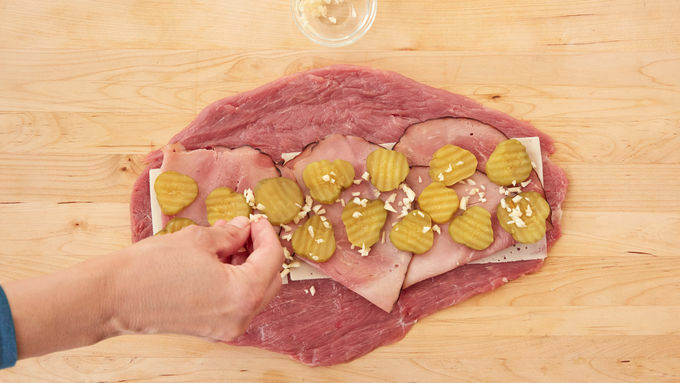 Arrange pickles on top of ham. Sprinkle garlic evenly over filling. 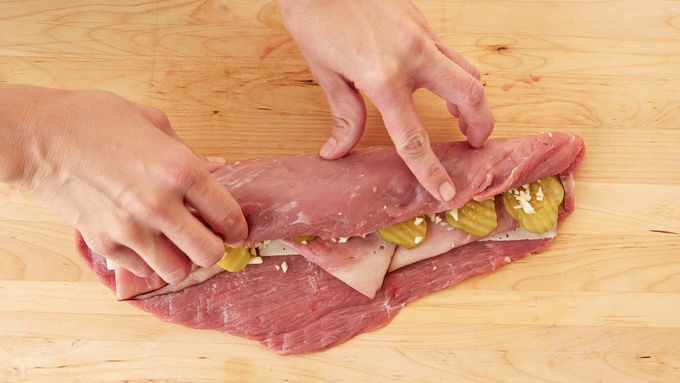 Tightly roll up tenderloin lengthwise. 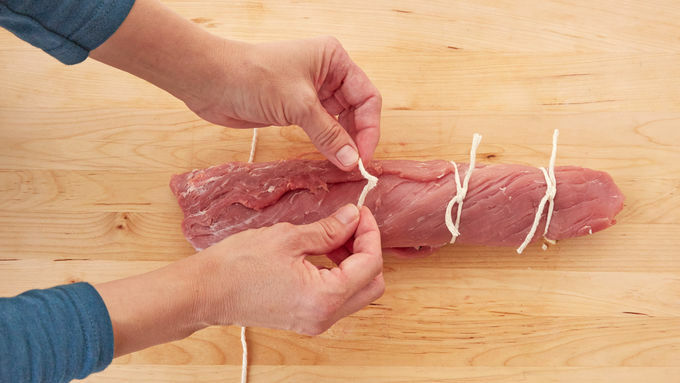 Tie tenderloin tightly with twine. Brush tenderloin with oil, then rub in salt and pepper. Place seam side up on grill over medium heat. Cover grill; cook 15 minutes. Turn pork; brush with remaining glaze in saucepan and grill 10 to 15 minutes longer or until meat thermometer inserted in center of tenderloin reads 145°F. 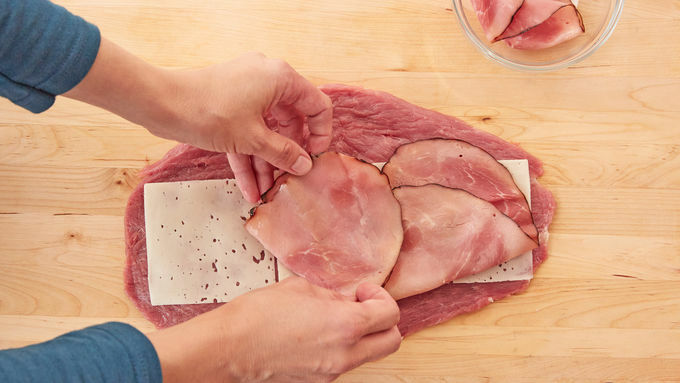 Transfer to cutting board; cover with foil, and let stand 5 minutes. Cut and discard twine. 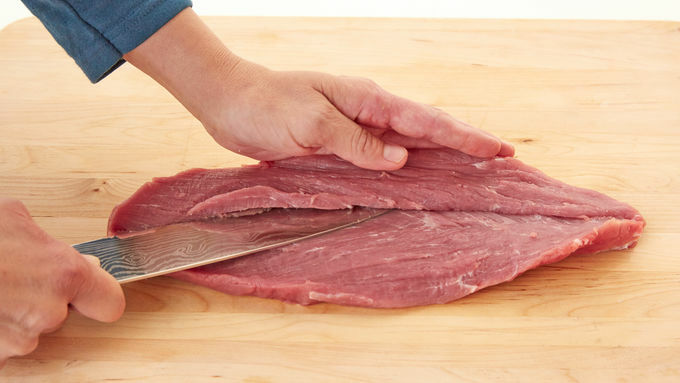 Cut tenderloin into slices with serrated knife. Serve with the 1/4 cup reserved sauce. 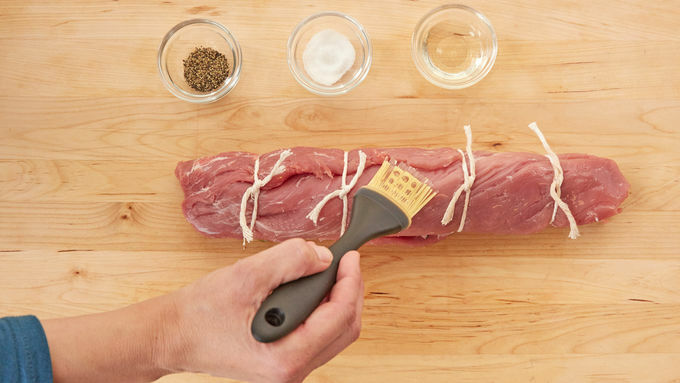 Worried about keeping the tenderloin tightly rolled while tying? Use toothpicks to secure edge before tying with twine. Remove toothpicks before grilling. Like it hot? 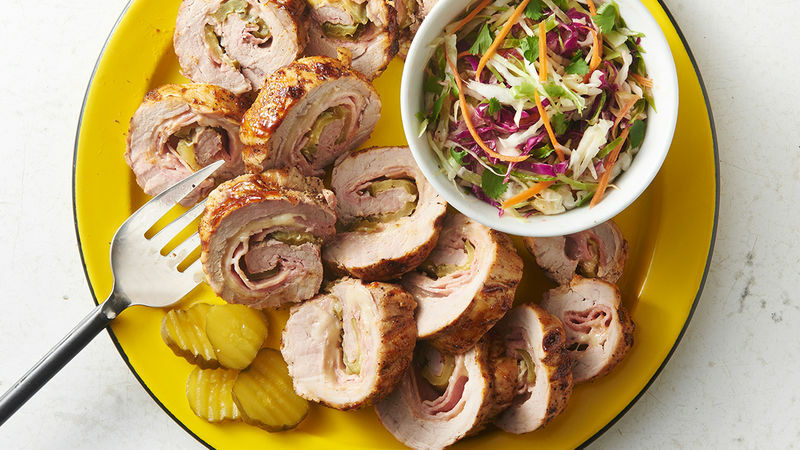 Use spicy dill pickles instead of plain.